At Integra, we uphold the principle that the ideal foundation for health care occurs when Science supports Nature. Whilst we acknowledge the valuable and often essential roles played by drugs and surgery, we equally hold that an approach which more closely resembles the way the body naturally protects or repairs itself is more appropriate as a first line of therapy. In this way, therapy based on optimum diet and lifestyle habits supported by targeted nutritional and plant-derived quality medicines provides the body with a gentler alternative. If you've been hearing about Nutrigenomics but not really sure what it means, here it is in a nutshell! As the new paradigm in Nutritional Medicine, Nutrigenomics literally means: 'Nutri-' nutrition and 'Genomics' - your genes. Nutrigenomics is about powerful food-derived molecules talking to your genes. The nutrigenomic ingredients we focus on are aimed at 'switch on' the genes coding for the cell's own defences. 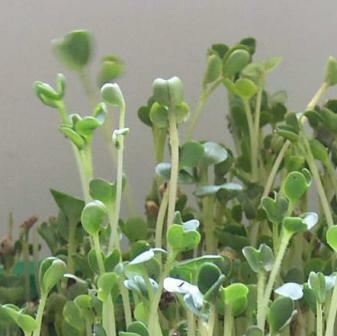 Food-derived molecules like the sulforaphane from broccoli sprouts is capable of activating over 200 genes associated with the ways human cells defend themselves. The nutrigenomic approach works WITH Mother Nature - not against her. For the millions of years Man has been on this planet, we have relied on an array of food biomolecules to activate our own defences, long before we started using synthetic vitamins as supplements, vainly hoping they would mimic Nature! The Integra philosophy focuses on natural products which have a strong scientific basis. Research into natural medicines has been growing exponentially over the last decade, so quickly that there is an ever-expanding body of science to validate the role of natural medicines in health care. With the direct relationship between diet and disease now being generally acknowledged throughout the world, Integra strives to contribute to the achievement of a greater community awareness of this important cause of poor health. Our Company's name, Integra reflects our goal to provide healthcare solutions based on the Science and the Logic of Cell Biochemistry. Integra offers Clinical solutions for Professional Prescribers. Our primary goal at Integra is to provide for our Clinician customers efficacious nutraceutical and phytoceutical products based on sound biochemical principles. Our finished formulations are sourced from the highest quality ingredients and include quantities of bioactives equivalent to those used in clinical trials. Whether the product is designed for clinical prescribing or direct-to-consumer, our focus is always to provide evidence-based niche formulations designed to deliver what they claim.